We need a theory to continue. January 28, 2019, 6 p.m. 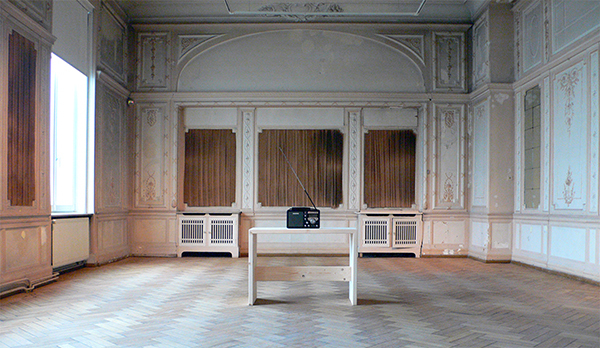 The moments between spatial and sonorous time intersect with historical and cultural simultaneities. The collisions between these markers are what move in and around the projects and research of Angel Nevarez and Valerie Tevere. Their interdisciplinary work which spans from performances that investigate and activate contemporary music, sound, and radio, to the cultural complexities of public spaces. They will present various works that contemplate the intersections between music, civic action, and historical moments that resonate through distinct musical instrumentation and sonorous traditions. Angel Nevarez and Valerie Tevere are multidisciplinary artists whose projects and research investigate contemporary music and sound, the electromagnetic spectrum, dissent, and public fora. Their interests lie in the spatial simultaneity of performance and enunciation, reflecting upon political agency through lyrics, audio, and transmission. Nevarez and Tevere have exhibited and screened their work at international venues including MoMA, The Guggenheim Museum, Creative Time, and New Museum in New York; Manifesta 8/ Spain; Museo de Arte Raúl Anguiano, Guadalajara, Mexico; Casino Luxembourg, LU; Henie Onstad Art Centre, Høvikodden/Oslo, Norway, and elsewhere. The first US survey of their work was exhibited at Institute of Contemporary Art, Philadelphia in 2016. Nevarez and Tevere have received fellowships and grants from Creative Capital, Art Matters, the NEA, and Franklin Furnace. Both were Studio Fellows at The Whitney Museum’s Independent Study Program, artists-in-residence at the International Artists Studio Program in Sweden (IASPIS), and recently at Pioneer Works, Brooklyn, and Grand Central Art Center, Santa Ana. Tevere is Professor of Media Culture at the City University of New York, College of Staten Island. Nevarez is a musician, and Faculty at Parsons School of Design and the MFA Fine Arts Program at the School of Visual Arts, New York. Looking to the karaoke songbook as a potential for political enunciation through song, "APS:Karaoke" invites the public to sing protest songs along with pop songs re-contextualized as political messages. 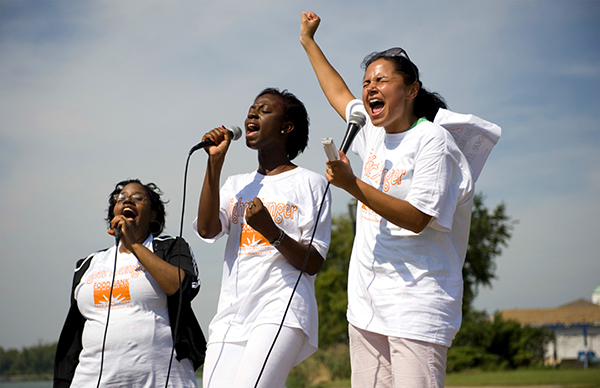 We provide a mediated soapbox where participants can profess their political interests and dislikes through song. APS has traveled to a Toronto street corner, MoMA’s Sculpture Garden, galleries, parks, and bars. Electro Kinetic Grammar combines scientific methods with artistic practice. 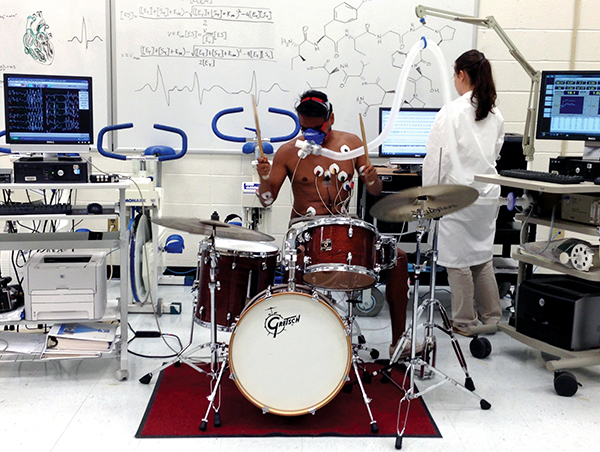 In this work, a drummer’s body (Angel Nevarez) becomes the vehicle of examination. The work focuses on the relationship between the mind-body-machine complex, repetition, drumming style, and how this physical activity can be translated into data through the use of medical monitoring systems (EKG, EMG, VO2 monitor). 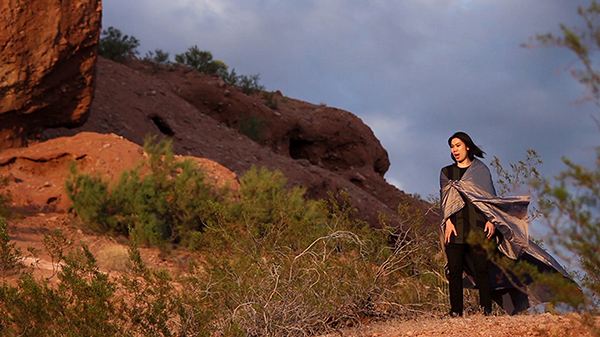 In Sonora, Countertenor Juecheng Chen embodies two personae singing into the dawn and dusk. The piece interprets and extends "Mocking Bird Yodel" (1937) as a call and response and audio-visual echo across time and the space of the contested landscape of the Sonoran Desert. 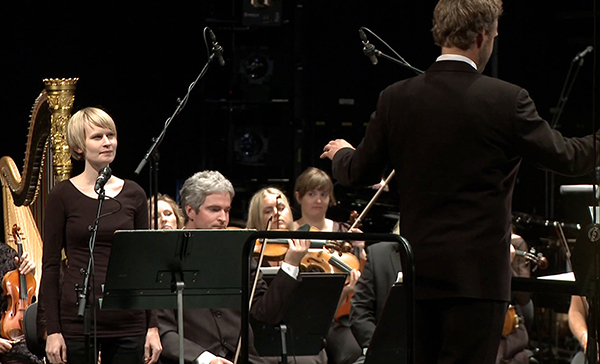 Performed at the Norwegian Opera House, The War Song is a re-arrangement, collaborative performance, and single-channel video work. For this project, the combination of song, orchestra, and venue is significant and linked both to the historical context of Culture Club’s original The War Song (released in 1984), and the contemporary framing of our cover version. The piece reflects upon the city of Oslo as context and stage –positioning music and lyrics in relation to social/political critique. Memory of a Time Twice Lived extends from Chris Marker’s La Jetée by way of the accordion and the Mexican wrestler El Santo. The film imparts a Latin American twist on the French Avant-garde building a field of relations which tie together 20th century mythic heroes, the taxidermy collection of the Wagner Free Institute of Science (Philadelphia), El Santo, and the accordion as a nomadic instrument. 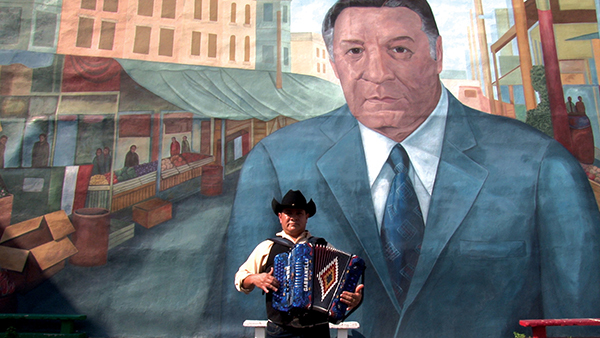 Shot on location in Philadelphia, Mexico City, and Hidalgo, Mexico, this work is a journey through musical tempo, cinematic time, and the excavation of an image. Spanish and English (subtitled). Length: Spanish/2010 –15:56 minutes. English/2014 –14:44 minutes. What we might have heard in the future. is a science fiction based radio drama that investigates history in the future tense. The broadcast performance considers the future's implementation of voice recognition technologies and questions the particular use of behavioral biometrics as authentication and validation of one's subjectivity. Such narrow parameters bring into question structures of power as processes of inclusion and exclusion in regard to representation and the voice.